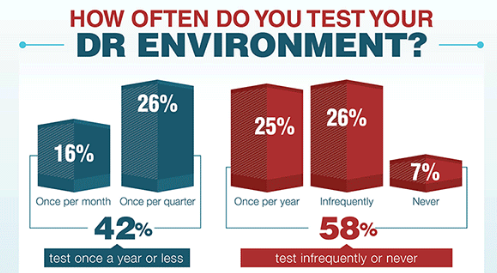 How frequently should you test your Disaster Recovery strategy? Creating a Disaster Recovery plan is essential, yet despite this fact, half of recovery plans are tested less than once a year. Recent findings suggest that businesses still fail to realise that for a Disaster Recovery(DR) plan to be effective, it needs to be regularly tested. When creating its latest Infographic, CloudVelox uncovered that infrequent testing is actually putting businesses at substantial risk. 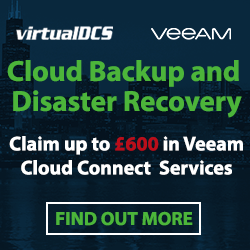 This information also correlates to virtualDCS findings, where the team uncovered that 35% of Yorkshire businesses do not have a Disaster Recovery plan in place. Why are companies not testing? Industry experts suggest that the anticipated costs associated with implementing a Disaster Recovery plan may actually be deterring companies from testing. 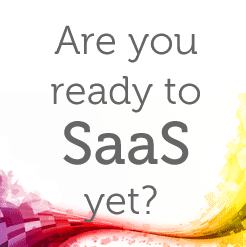 Perceived costs could include consulting time, downtime and reduced productivity. However, this is nothing compared to the cost of being unable to access data after an incident. In addition to this, the CloudVelox survey also discovered that 58% of IT departments actually lack the internal resources to support the required business continuity tests, with 34% of participants stating that the overall process is too complex. Unfortunately, there is no set rule for how often you should test your Disaster Recovery plan, however, the more testing companies conduct, the more efficient they are when reacting to an incident. It’s recommended that the business completes a cost-benefit analysis, to work out the right testing strategy for the company, exploring RPO and RTO options. This will also help avoid spending more time on your DR than your data is worth. For advice on protecting your systems and creating an effective Business Continuity plan, contact the team. 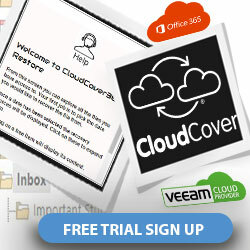 We’re currently offering a 14 day free trial on Veeam Cloud Connect technology, which provides simple and flexible protection.